In today’s world hybrid automobiles are commonly found on the road, a cross between internal combustion and electric engines. But our recent fascination with hybrids is nothing new. In 1889 a proposal was submitted for what looks like an electric car/cable car hybrid, as detailed in the July 27, 1889 issue of “Scientific American“. 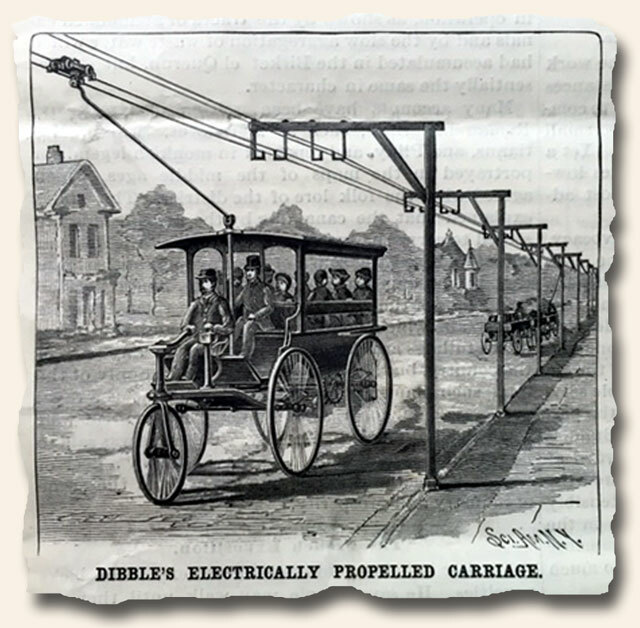 The electric vehicle would receive its power from the cable lines above it but the vehicle would negotiate the streets without the aid of tracks. It is interesting how fascination with electric propulsion over 100 years ago has been renewed today as a means of powering automobiles.